#APC #Spotlight: The Keeper Of The Wind By Mark Shaw! When a trio of high school seniors list three ancient artifacts for sale on eBay, professor and archeologist of native artifacts, Mitch Waters, believes he hit the jackpot. But is he concerned more with historical preservation or his own fame and fortune? 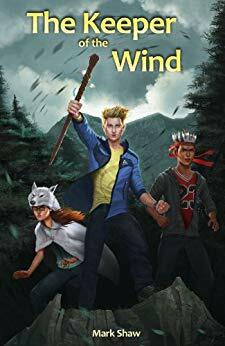 Author Mark A. Shaw brings together an unlikely yet entertaining trio of high school seniors, each of a different race and upbringing, who are separated from their senior class during a high school camping trip. On their own in the wilderness, they come across three authentic artifacts in a hidden cave.